On your mark, get set … get active! 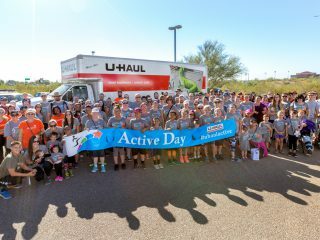 The first U-Haul Active Day generated events on or about Oct. 15 across the U.S. and Canada, promoting exercise and fun among Team Members. 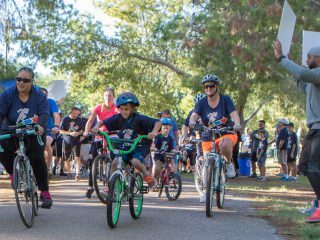 Approximately 300 Team Members and their families participated in a 5K run/walk/bike at Papago Park in Phoenix, where U-Haul is headquartered. Participants arrived in U-Haul Active Day shirts, navigating a paved route through the rolling hills around a golf course. In some cases, pet dogs and a baby pig joined their owners. Upon finishing, participants were greeted by shaking poms poms from the Arizona State University Cheer Team. 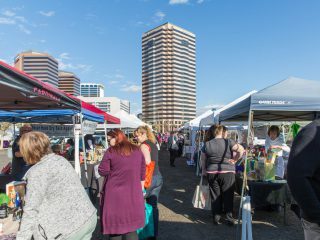 Everyone enjoyed healthy snacks and drinks from U-Haul and other vendors; chair massages; giant board games and more. Team Members provided a small registration fee to participate and received a U-Haul shirt, water bottle and special pin. 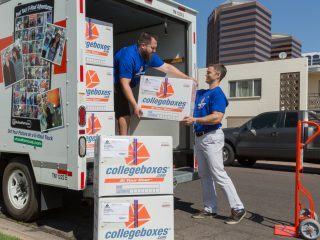 A portion of the proceeds went to the Pat Tillman Foundation, a U-Haul charitable partner. U-Haul was able to raise $14,200 for the foundation. 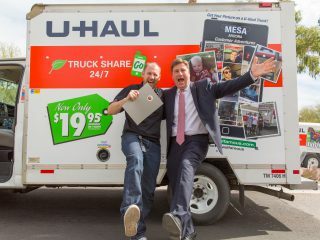 This year U-Haul implemented a workplace wellness initiative: “The Healthier U.” U-Haul is constantly looking for ways to assist Team Members in reaching their health goals. 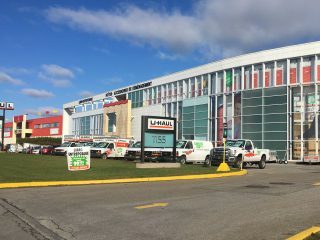 Marketing Company Office (MCO) 810 gathered on Oct. 16 at the U-Haul store in Scranton. A team of about 20 people walked, biked or ran 3.5 miles on Heritage Trail. Afterwards, the group returned to the store for healthy snacks and refreshments. Team Members in MCO 852 gathered for an eventful evening of bowling at a local venue. 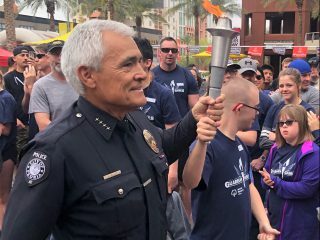 Around 20 employees attended the event with their families. MCOs 744 and 874 joined forces for U-Haul Active Day. As a result, a total of 119 people participated in an event at the South Texas Maize in Hondo. Team Members had access to a 7-acre maze, mountain climbing, hayrides, a pumpkin patch and a dance floor. A group of Team Members from MCO 798 came together on Oct. 15 to walk the “Ghost Trail” in Salisbury. The trail is about 3.8 miles long. Out of MCO 708, Team Members and their families walked the Golden Gate Bridge. The walk is about three miles round-trip. Despite rainy and windy weather, the team toughed it out to complete the activity. MCO 726 held a U-Haul Active Day walk at a nearby location. This allowed the team to spend time together and get in some quality exercise. Three MCOs (795, 818 and 819) held their U-Haul Active Day at Fort Hunt Park. As a result, nearly 60 people turned out. Activities included softball, football, soccer, walking, rollerblading, Frisbee toss and more. They also served up a healthy meal for everyone to enjoy. MCO 812 had about 14 people attend its U-Haul Active Day walked, and the group totaled 156,716 steps. 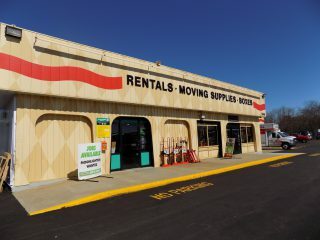 Five MCOs and two U-Haul stores in Georgia came together for a big event. About 50 folks from the UHCs of Georgia Northeast (879), Atlanta North (863), Atlanta West (777), Central Georgia (776) and Western Georgia (763) joined Marietta Shop (28800) and Atlanta RERS (17300) for a U-Haul Active Day walk. The group completed 594,850 total steps. 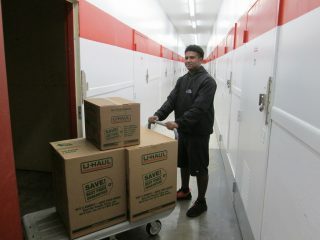 In conclusion, a big thank you to all of the Team Members and their families who participated in U-Haul Active Day! Please share your U-Haul Active Day images on Instagram by using the hashtags #uhaulactive and #uhaulfamous.